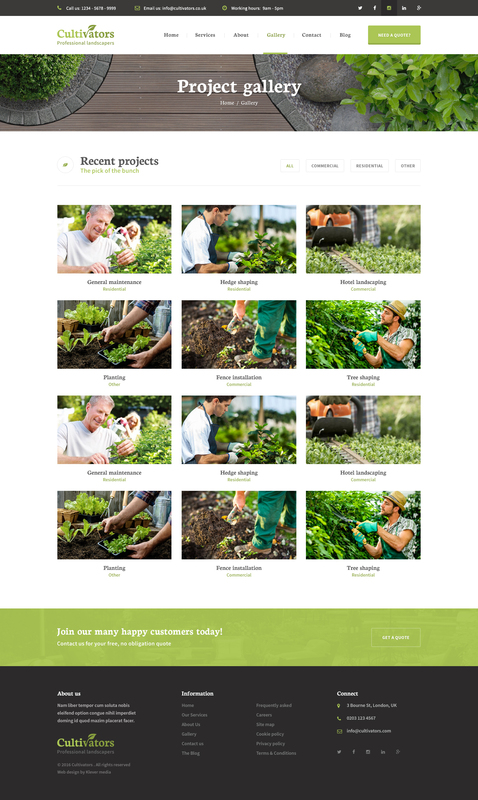 Cultivators is a professionally designed photoshop template aimed at landscape gardeners and garden handymen. 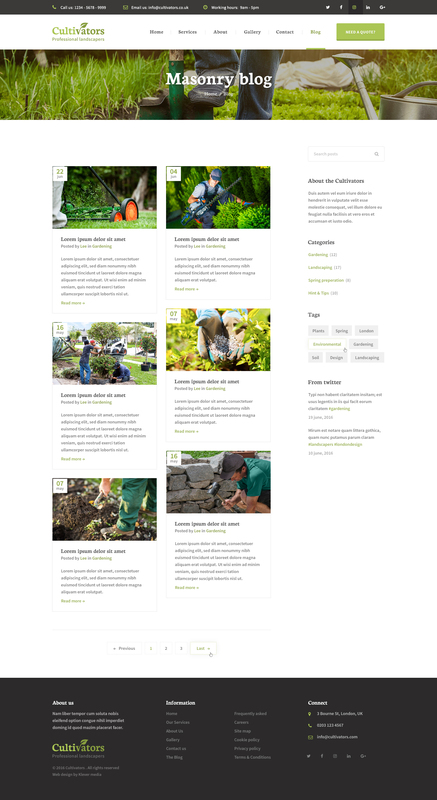 It’s designed on the bootstrap 3 grid system and can be easily converted into responsive WordPress, Joomla, Drupal or HTML theme/template. 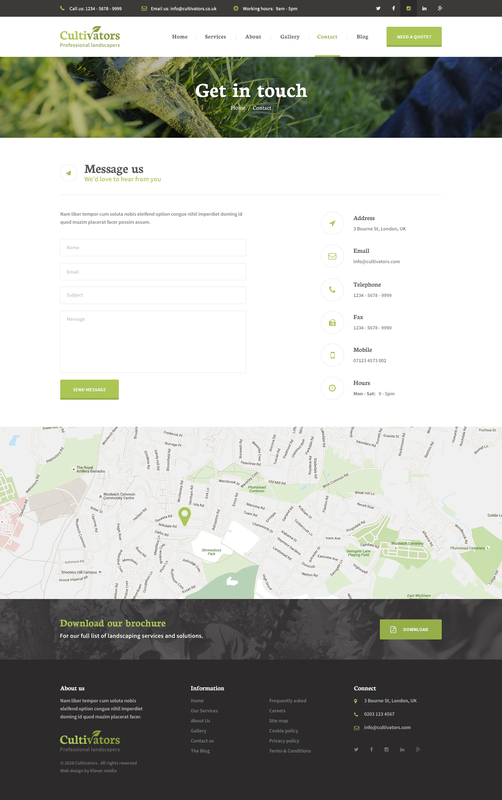 The PSD files are well organised, making customisation extremely easy. 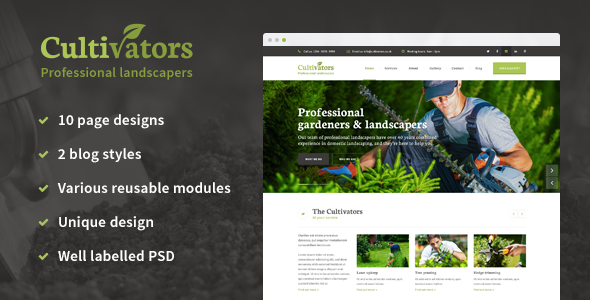 The Cultivators’s PSD theme includes everything you need for website development such as contact page, blog pages, about, classes, pricing and other necessary design elements.